Due to the reduction in the supply of palladium, which has been going on for a long time, the metal grows in price. Now it costs over $ 1600 per ounce, setting a new record. During the bidding process, the wholesale value was rising by 1.4% to $ 1601.5. June contracts have risen by 1.1% to $ 1,556.3. The cost of the metal has almost doubled, if to take last August as a starting point. For this year, the price has increased by almost a third. According to analysts’ expectations, this year the market will experience the palladium deficit again due to high demand from auto manufacturers. They use it to create exhaust systems that meet environmental standards. 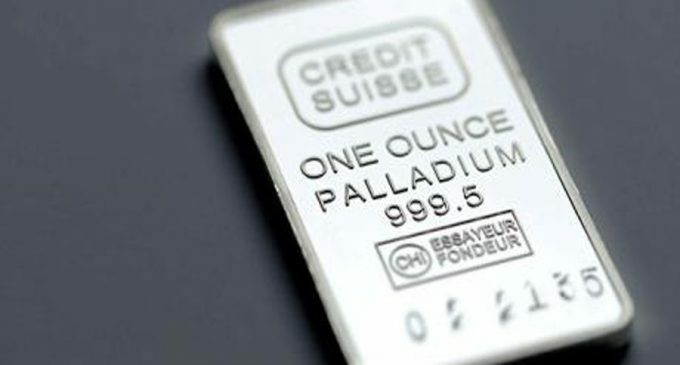 According to adjusted projections of the Bank of America, the average price of palladium in 2019 is expected to be around $ 1,800 per ounce. This means that we can see the growth of more than 2 thousand US dollars. A large increase in the palladium cost has set good things up for manufacturers. So, Impala Platinum Holdings has reduced its debts and is going to create a new mine to begin the production as early as 2024. Anglo American Platinum estimates the increase in production in Mogalakwen by 270 thousand per year. The recall of more than 850 thousand cars manufactured by Fiat Chrysler can become a positive factor for the palladium. The violations in terms of carbon contained in the exhaust have been found in the cars.